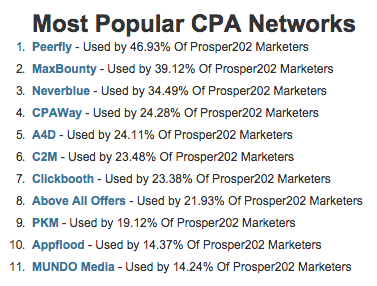 Third party tracking tools are an integral part of scaling affiliate marketing campaigns so we were excited to learn that more PeerFly publishers are using Prosper 202 than any other network! 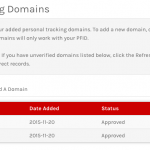 We’ve tried to make integrating a tracking platform as easy as possible on PeerFly with self-serve options to add a sub ID, place your postback and even fire a test lead. 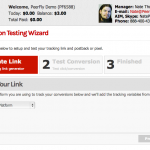 You can fire a test conversion straight from PeerFly’s dashboard! The Conversion Tester can be found in the green “Tools” menu on any offer page. It’s now even easier to use, simply input your tracking link from Prosper into the field and submit. You should see a lead on both PeerFly and Prosper 202. Not tracking? There are a few trouble shooting steps that might help you correct the issue you’re having. 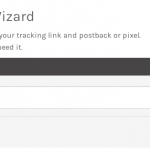 You can find a blog post on using the Wizard here. Still stuck? 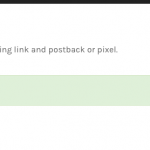 Luke has a blog post on setting up a PeerFly campaign on Prosper that’s been a ton of help to our publishers, you can find it here. Make sure to checkout the full article on Prosper 202’s blog and let us know how we can help you get started!